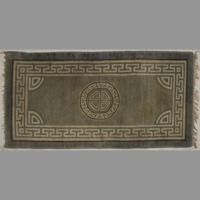 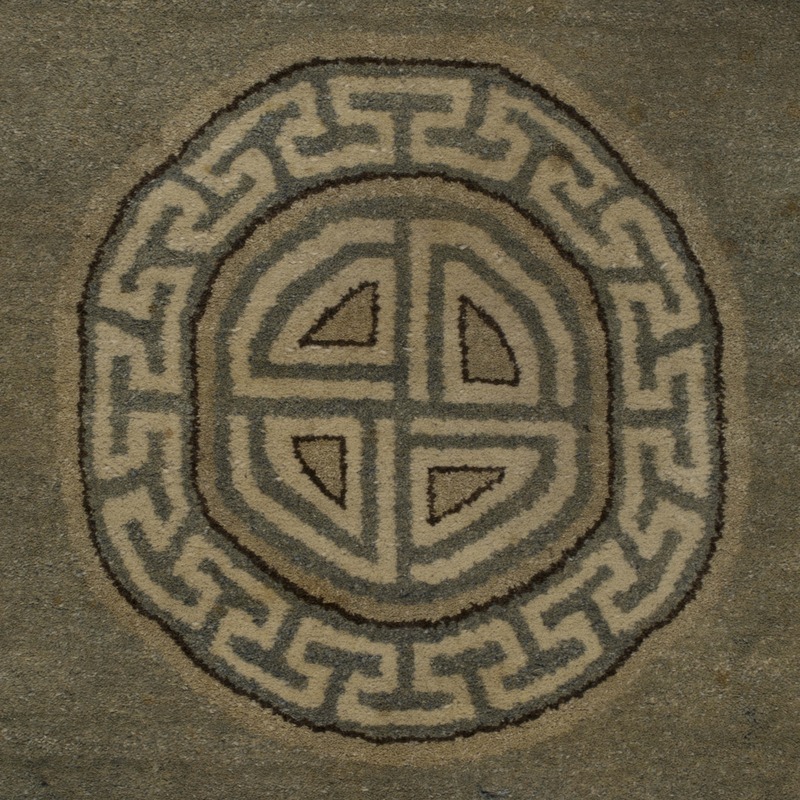 This carpet was woven at the Shandan Bailie School, from the first clip of wool from 25 Corriedale sheep donated to the school in 1947 by New Zealand farmers, with the assistance of Wright Stephenson. 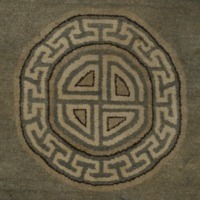 The sheep were transported by H. M. Sievwright of Tekapo, and cared for in Shandan by M. Wilkinson of Wellington. 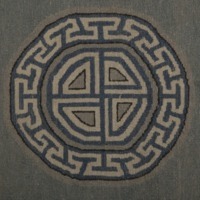 Exhibited at the Chinese art and crafts exhibition held at the Provincial Council Chambers, Christchurch, in 1950. 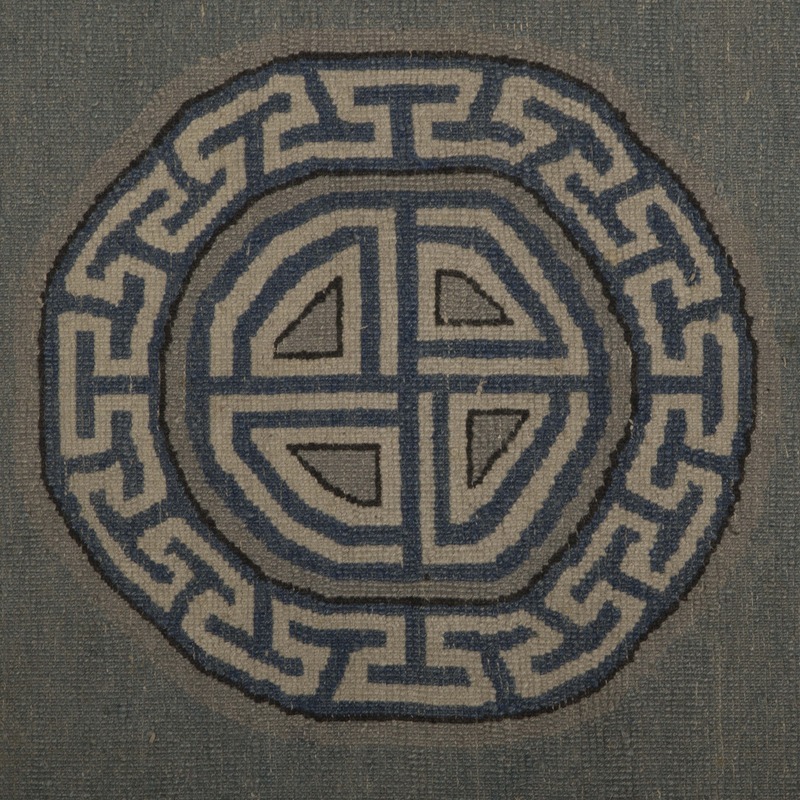 Gifted to Canterbury Museum by Irene Young (d. 1987) of Christchurch. 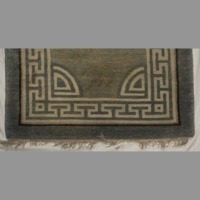 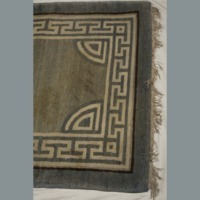 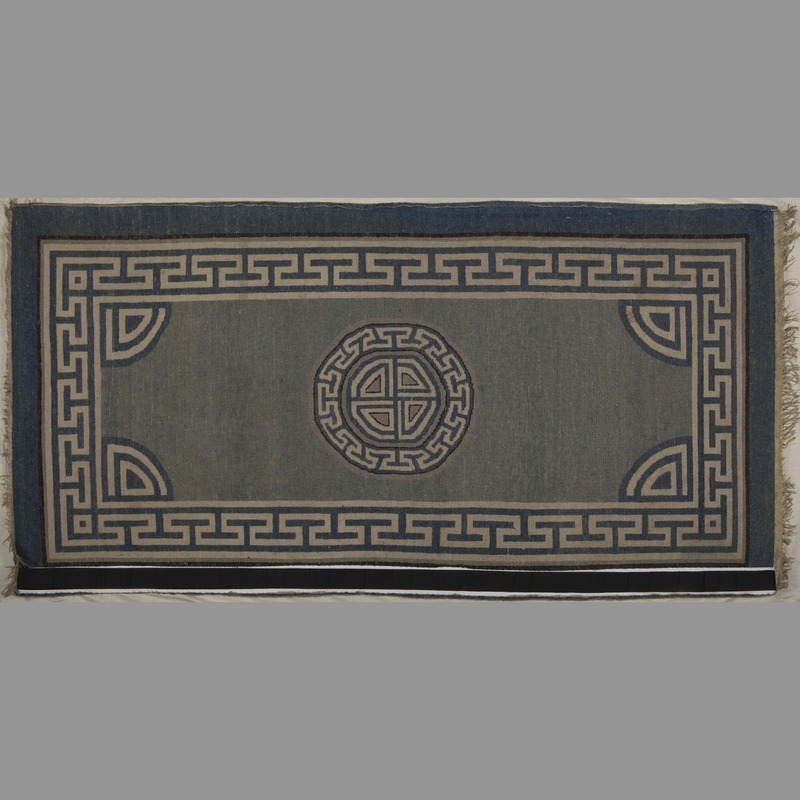 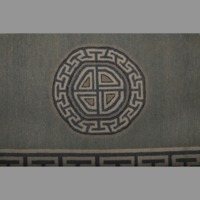 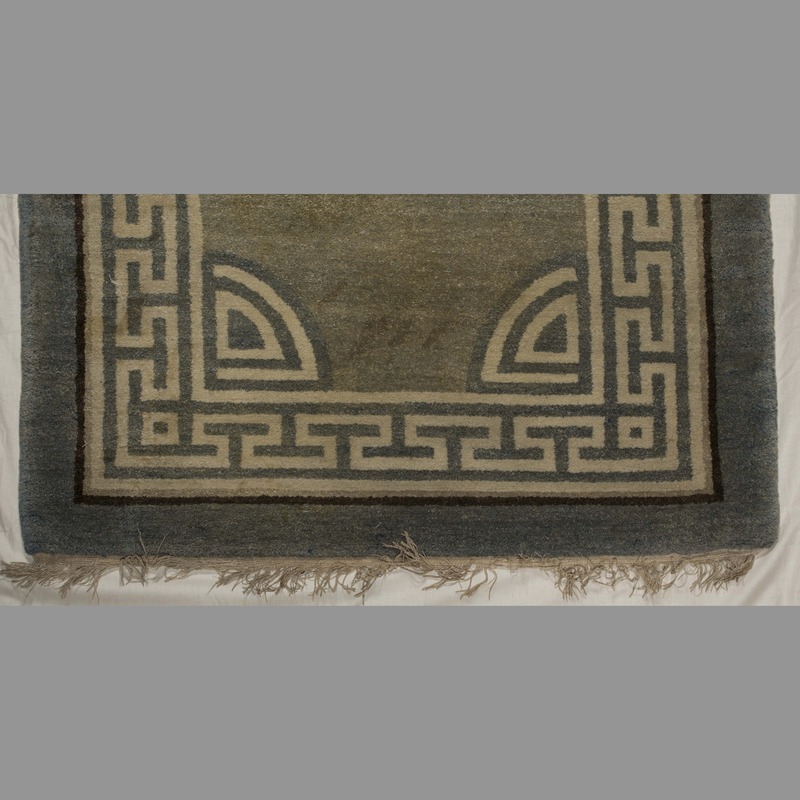 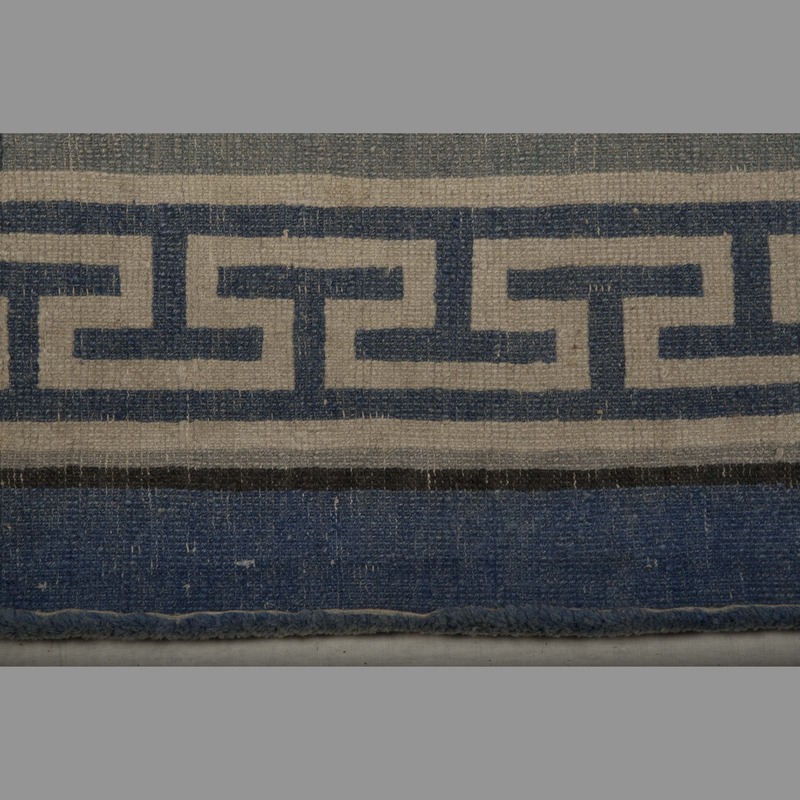 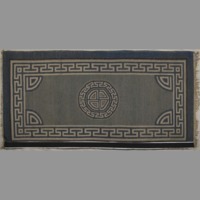 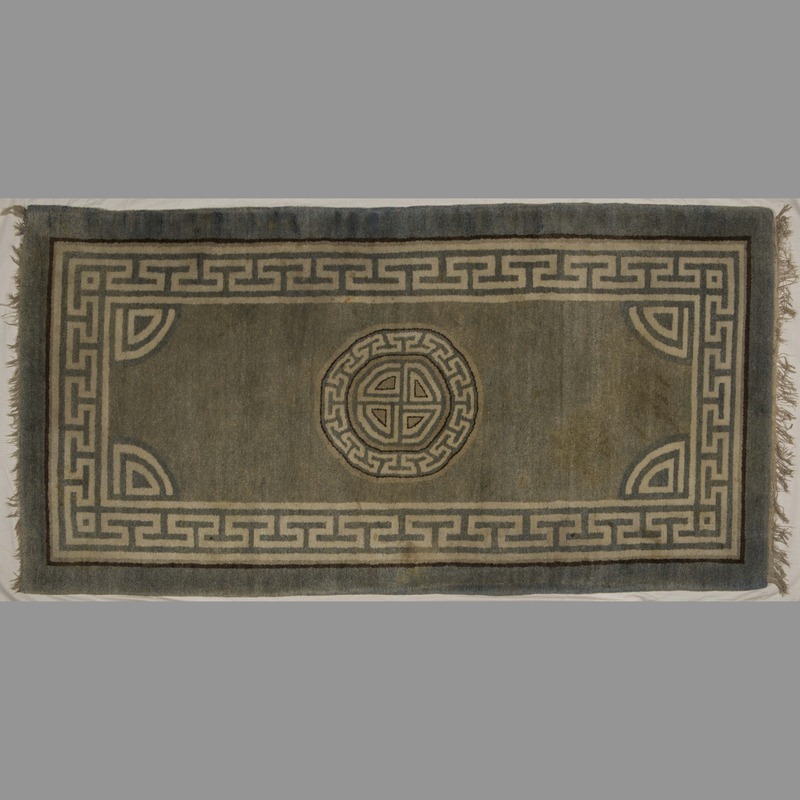 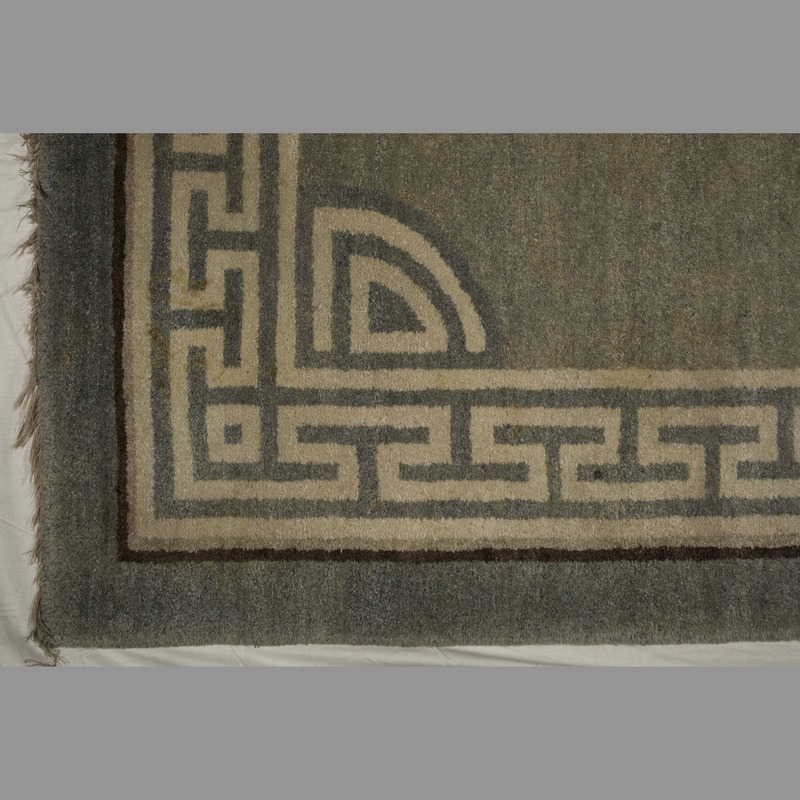 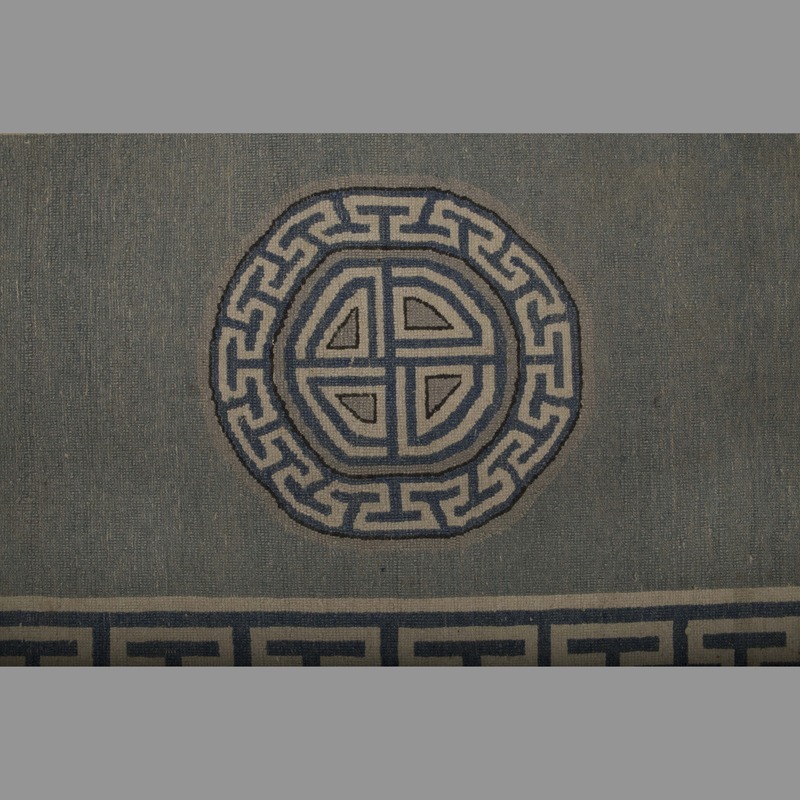 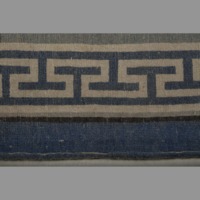 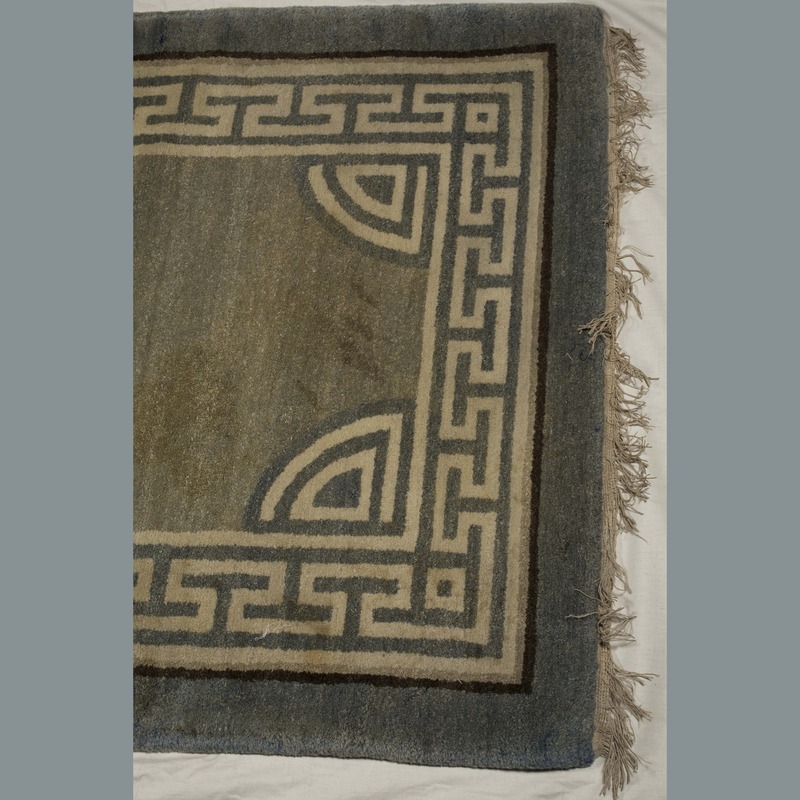 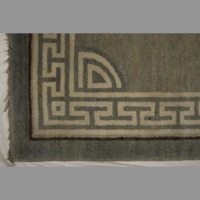 “Furnishing: carpet,” China, Art and Cultural Diplomacy, accessed April 22, 2019, http://rewialleyart.nz/items/show/1272.